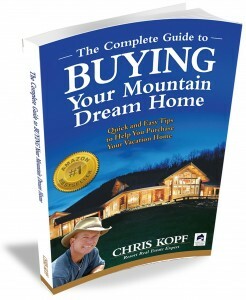 In this book, Chris will teach you quick & easy tips to help you find the dream mountain town, and the dream home, for you and your family. Avoid costly mistakes most buyers make. Determine real costs to make an informed decision. Figure out the numbers on whether you should build or buy? Rent out your vacation home and manage it when you’re not there. Prevent cold & snow from damaging your home. Invest in the mountain home of your dreams to start creating memories for you and your family. 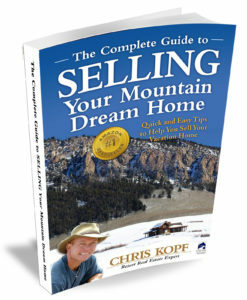 In this book, Chris will teach you quick & easy tips to help you sell your mountain vacation home for the highest possible price to the best buyer. Prepare your home to sell for the highest price. Find and hire the best real estate agent to list, market, and sell your home quickly. Get top dollar for your home, and sell it quickly — so you can move on to that next chapter of your life.